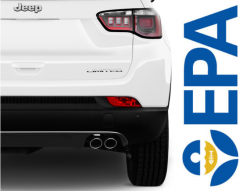 The EPA has announced Fiat-Chrysler (FCA) will recall over 863,000 vehicles for failing to meet U.S. emissions standards. The affected vehicles are from the 2011-2016 model years, with front-wheel-drive and gasoline engines. Each will need a new catalytic converter. Given the scope and complexity of the repair, FCA plans on splitting the recall into phases with the oldest models getting repaired first.